Age 15. Dallas, Texas, United States of America. Sana is exploring future careers involving writing by joining her school’s newspaper team, working on her own fantasy novel, and writing competitively to develop her skill set. 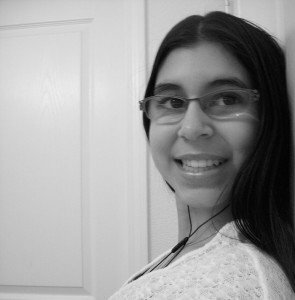 Sana was a finalist in both the Junior Authors Short Story Contest and the Junior Authors Poetry Contest and has had her work published in multiple online magazines including jaBlog! The main things she does for LTC: Fiction editor for jaBlog! What she has learned so far: Deadlines are crucial and it takes more than merely the night before to craft a worthwhile piece. As an impatient thirteen year old, my pieces lacked focus because they were written in a rushed, rambling manner and I was repeatedly rejected by publications because of it. Now I can say that because of feedback from LTC, my pieces are clearer and more concise. How this opportunity is helping her to achieve her goal: I didn’t believe a career in writing would be possible for me before I became involved with Laura Thomas Communications. LTC has given me the needed feedback to be able to grow as a writer, practical experience with deadlines with which I can no doubt pad my resume, and the confidence that I would need to find a career path where I would be able to nurture my passion. Age 15. Richmond, BC, Canada. Currently in tenth grade. 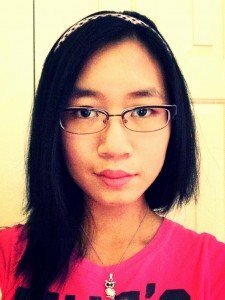 Cathy has had her writing published on Miss Literati, Teen Ink, and in Amazing Kids! Magazine. She also works as the editor of the Global Village column and the Adventures column of Amazing Kids! Magazine. At school, she is the vice-president and fiction editor of her school paper. The main things she does for LTC: I am the social media assistant, which means I post things like contest promotions and writing advice on the Polly Wants to Be a Writer Facebook page. What she has learned so far: It’s pretty hard juggling academics and theatre rehearsal in addition to writing, but LTC taught me how to manage my time effectively. My experience working here has shown me how to set and meet deadlines as well as how to smoothly write and edit my projects. How this opportunity is helping her achieve her career goal: Before, I would stare and browse the endless lists of writing contests and think that I have no chance of winning. Now, LTC has given me the courage to shoot for my dreams without being burdened by doubts. The main things she does for LTC: Proofreading and editing for jaBlog! What she has learned so far: The most important lesson I’ve learned so far is not to over think every step I take. Making mistakes is inevitable. My work has allowed me to discover the best ways to handle these mistakes and minimize the stress they cause. LTC has also allowed me to find out that I’m not alone in my goals, and they’re not impossible to reach. How this opportunity is helping her achieve her career goal: The chance to be part of the writing world at such a young age is an opportunity not to be taken for granted. My confidence in my skills has greatly improved, and I know what it takes to make it in this industry. Thanks to LTC, I now feel as if a career in this industry is a viable possibility for me. Age 16. San Jose, California, United States of America. Currently a junior in high school, Mia is enrolled in multiple writing, communication, and language classes, with plans to take many more. She has been published several times on the internet, including multiple times on jaBlog! 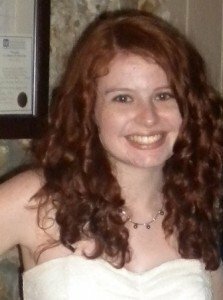 Mia recently had a short story published on Teen Ink. The main things she does for LTC: Blogging about the creative opportunities for young writers in the Central United States. She also helps out with artwork for jaBlog! What she has learned so far: I’ve learned that first drafts aren’t worthy of publication, and that a great product comes as the result of revisions and redrafts. I’ve also learned that the best writer needs both ambition and patience. How this opportunity is helping her achieve her career goal: This is an incredible opportunity, especially at such a young age. This opportunity will bolster everything from my college applications to my writing credentials, not to mention my personal experience. Age 18. Chilliwack, BC, Canada. First year university. Valerie was a finalist several years in the Junior Authors Short Story Contest. She is also a published poet and has had essays published in trade journals. The main things she does for LTC: Judged the 9-11 category of the Junior Author’s Contest and copywriting. She is also the editor for our reviews of books by young authors (ages 9 to 21). What you has learned so far: LTC proved me wrong! LTC has taught me that I am not alone. Young writers worldwide have a strong desire to showcase their work, get feedback, and be encouraged to write more. Helping young writers to work together can, and has, had incredible results. How this opportunity is helping you achieve your career goal: LTC has opened my eyes to so many different possibilities when it comes to writing. It also keeps me motivated to practice, practice, practice! My dream is to teach children in third world countries and write books with my students. Anything to do with writing helps that dream! Age 17. England, UK. 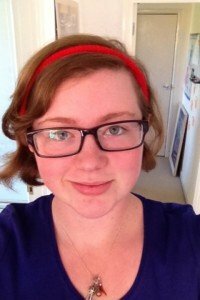 Currently attending sixth form college, Hannah has two WordPress blogs (one dedicated to writing, one to her personal writing) which she posts on regularly, has won competitions on the website Miss Literati, has been a finalist in the Junior Authors Contest, and has been published on jaBlog! in the form of articles and winning a story competition. She always has at least one project being worked on (if not more). 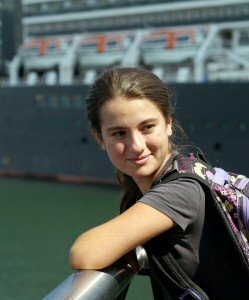 The main things she does for LTC: Researching and blogging about happenings for young writers in Europe. What she has learned so far: I have learned how to pitch ideas to editors (i.e. Laura) before writing out an entire article, which will be incredible useful in the future; you don’t want to be writing 1,500-2,000 word pieces, and then find there’s no market for it! I have also learned the importance of editing out unnecessary words––even entire paragraphs–– which means the reader doesn’t have to do as much work and makes the piece read more easily. How this opportunity is helping her achieve her career goal: LTC has helped me understand the enormous amount of jobs in the writing field – such as publishing and editing – as well as the writing. It also helped to keep me motivated, so I am not only writing fiction, but also non-fiction. A writer needs to be diverse! Age 17. Ontario, Canada. 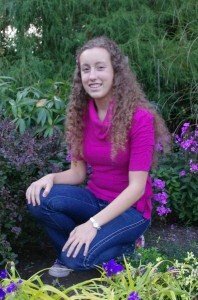 Sierra is an enthusiastic homeschool student with an insatiable love for reading and story telling. 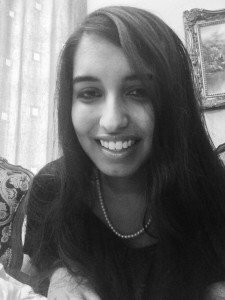 She divides her time between writing stories for competitions and producing nonfiction for jaBlog! and other freelance assignments. Last year two of her short stories went on to be published in Canada-wide national collections, while another took 1st prize in the Kingdom Pen Picture Prompt contest. Winner of the 2015 Polly Prize. The main things she does for LTC: Blogs about new and practical ways writers can improve and expand their craft. What she has learned so far: Through LTC and my freelance endeavours, I have learned how to go about pitching my ideas in a clear, professional manner. I’ve learned how to press forward and write on, even with dwindling motivation and interest. And perhaps most importantly for me, I’ve overcome my fear of writing that terrifying opening paragraph. How this opportunity is helping her achieve her career goal: Like most authors, I struggle with keeping a regular writing schedule and balancing the demands of the rest of my life. LTC helps keep me motivated and gives me more opportunities for writing nonfiction. Age 14. Cincinnati, Ohio, United States of America. Sylvia is a writer looking to expand her craft in nonfiction articles and short stories, as well as fine-tune her novel writing. 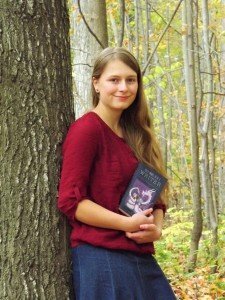 Having placed in several writing contests, including a regional gold key for the Scholastic Art and Writing Awards, she divides her time between fiction writing and blogging. In late 2014, she self-published her novel, Echoes of the Past. The main things she does for LTC: Blogging about different writing topics, as well as assisting with some of the artwork for jaBlog! What she has learned so far: You can’t write one draft and expect your writing to be perfect. It takes multiple revisions and ample time to get your writing sufficiently polished and ready for publication. LTC has taught me to have patience with the editing process, as well as how to efficiently manage my time. How this opportunity is helping her to achieve her goal: I never thought I would have the opportunity to be involved in the industry at such an early age. The feedback and professional experience LTC provided has gave me the confidence to pursue a professional career in writing. Hi. Is there any way I can join your LTC team? I also want to be a part of it. It would be a refreshing experience. I would love to be a part of it. Hi Dania. There is no formal application process. I keep an eye on which young writers are participating in LTC opportunities and submitting successfully to jaBlog! If one really stands out, and I have a spot, I may invite that young writer to submit an application. That is how Sana Hameed, our newest team member, was given the opportunity. I’ve noticed a lot of people have left the team. Is there any big reason for that? Hi Suki. No big reason. Just team members moving on to bigger and better stuff. I am always honoured to have been part of their journey. Hi Akshta. All of our team members eventually move on to bigger and better things. LTC is a stepping stone. Hi. I used to be part of the insider mailers list. Now that you changed it will I still get an email when you open up for candidates? I’m not part of the new membership. Hi Alyssa. The Insider Mailing List is still active and will continue to be. I will send out emails once per week as usual. If I have an announcement about the LTC Team I will probably continue to put it in one of those weekly emails. If you are really keen to join the team, you can send me your information any time, and I will look at it. What info would you need? Sorry I didn’t see your reply sooner. I never saw it. Hi Alyssa. Sell me on why you would be a great addition to the team. do you currently need young writers for a particular position? Hi Aleeza. Not at the moment, but if you are really keen, and want to be considered when something comes up, you can send me a one-page information document to keep on file. Include: your name, age, country, your writing experience, your career goals, and a summary of the ways you have already been involved in our opportunities at LTC. Do you have any idea if or when you will open up this site for candidates? I found your site just a little too late last time. Hi Alyssa. I will send out a message to the LTC Insider list when (or if) I need to expand our team. Hi Hannah. I know. It’s the same with everything we offer for young writers (contests, conferences, submissions to jaBlog! etc.). We have far more girls than boys who are interested. We have received very few applications from boys. When will you reopen the site for candidates. I would love to be part of your team! Hi Amy. I am not sure yet. Please check back or be on the Insider Mailing List to be the first to find out.